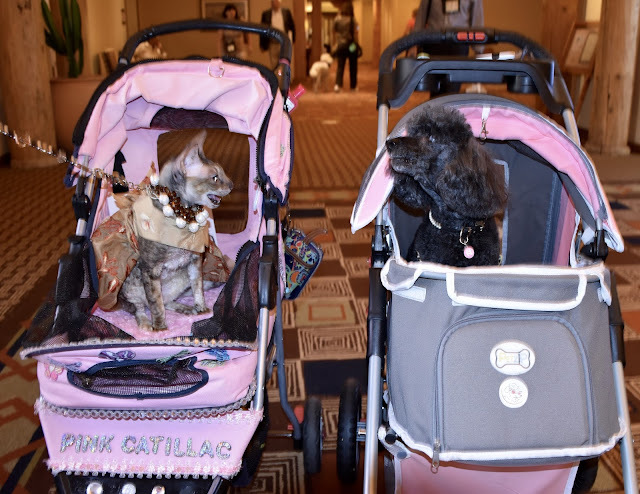 I reported that upon arrival at Blog Paws I saw kitties in strollers which I found quite intriguing. So yesterday, one kitty leaned over and tried to introduce himself. Since I don't meow, I was not quite sure what to say (not often am I at a loss for words). But then I thought about it. 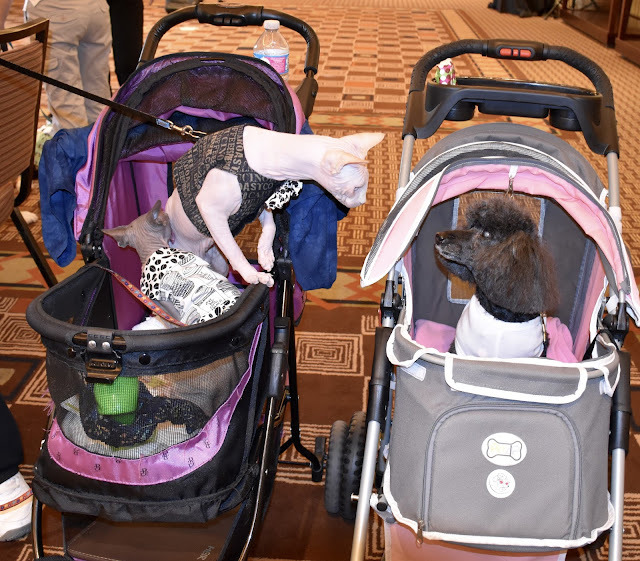 So when I met another stroller kitty I decided I would introduce myself in my usual Rosy fashion and I started barking. I dont know why Mom got annoyed, after all, Coco said hi! Aww Rosy I think you did great! I'd have meow'ed hi! I love your new stroller. I bet you are having so much fun! Thanks Tikka! Yes, isn't my new stroller just the most fab color? And I just love the kitties at Blog Paws! Wish you were here! RosyPoodleKisses! Meeting you would be such a highlight!!!! OMP! You are too sweet! Would love meeting you too! RosyPoodleKisses!